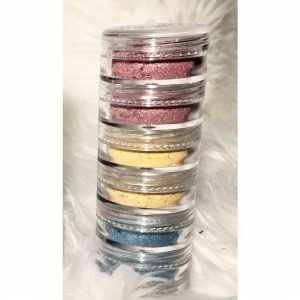 We made Pride Flag Sets with our Versatile Mineral Powders! 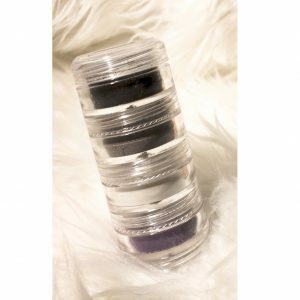 Did you know that you can stack these cute little makeup jars? 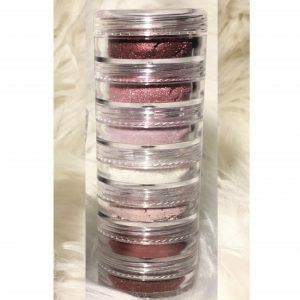 Check out the Pride inspired Versatile Mineral Powder Sets below that make up our fun, flag-specific stacks. Click on the different Sets below to learn which colors come in each one. 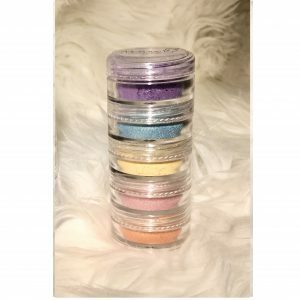 You can use these loose mineral powder colors on the eyes, face and body for fun Pride inspired makeup looks! 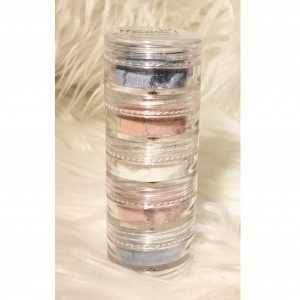 For using these powders as a liquid liner, apply with a wet angled liner brush to the eyes. Try these colors on the nails as well by dipping a clear polish of your choice into any mineral powder and applying directly to the nail for instant, gorgeous color! Ingredients: Mica, Iron Oxides, Titanium Dioxide. May contain ferric ferrocyanide (#21, 22, 23, 63, 63, 64, 65, 66, 67, 3), Manganese Violet (#15, 178, Chiffon, Purple Punter, Violet Violation). 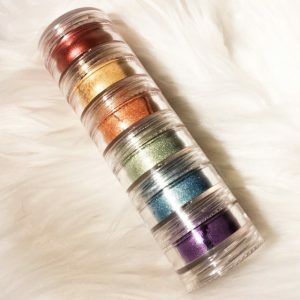 The Pride Flag Set includes 6 colors of the rainbow for eyes, cheeks, and face makeup applications! Blue, Pink and White sparkles make up this beautiful Transgender Pride Flag Set. 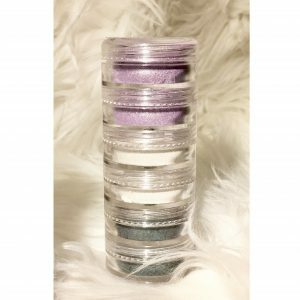 The Gender Queer Pride Flag Set comes with the following Versatile Mineral Powders: #4 Tinkerbell #61m Semi matte White Tourmaline Use these colors as eye shadow, eye liner, nail color (with clear polish), and other muti-purpose applications! 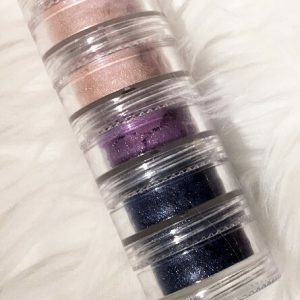 The Bi-Sexual Pride Flag Set comes with the following Versatile Mineral Powders: #82 Pink Pearl Violet Violation #20 London Blue Use these colors as eye shadow, eye liner, nail color (with clear polish), and other muti-purpose applications! Magenta Pink, Yellow, and Turquoise make up this beautiful Pan-Sexual Pride Flag inspired Set. 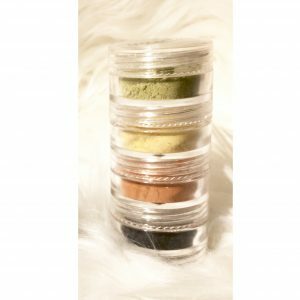 Green, yellow, orange and black powders make up this Aromantic Pride Flag Set for making gorgeous makeup looks!